In this article we have gathered some of the most important information for you as a new student. We have made videos on some of the it solutions. StudWeb is where you sign up to courses, check your grades and se your educations plan. Note that you should keep having your student email registered at StudWeb. This is because the student administration only will send information to this email. Canvas is the place where you will find everything your professors and teachers publish for your course. At the Athene website you will find information on important dates, communities and more fun stuff. You will also find links to many other useful websites. Students information service (SiT): Here you will find schedules, Canvas information, help for your studies and more. Studentsamskipnaden i Ås are responsible for the pentagon and pomona student flats. They also administer most of the cafeterias on campus, aswell as the GG-Gym. You can read more her her. Information on how to get internet at your student flat, you will find here. Your home area at the computerlabs is called (Z:) Here you can store data that you will have access to at all computers at campus. Trough your student mail you also have access to Microsoft OneDrive where you can store files. These you can access anywhere you are. The wireless network is called Eduroam. This is availible at campus. You can log on to the network as long as you have made a password to your username. 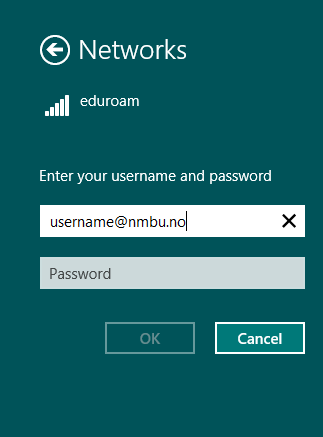 You can find more information on how to connect to eduroam here. Printing at NMBU is easy for students. There are several printers at capus you can use.First you will have to synchronize your student card. More information on how to to this, you will find here. Computer service are a service for students provided by NMBU. They can assist you with computer problems related to NMBU. Dette innlegget ble skrevet i IT-dokumentasjon, juli 23, 2014 av Fredrik Aleksander Sirnes Engen.